Take control of your financial future with a Real Estate Investing Education. Learn our time-tested systems. 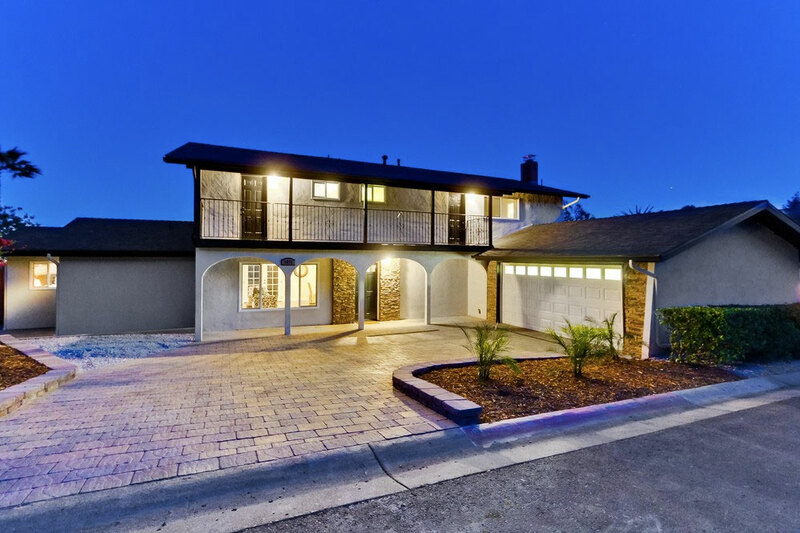 Welcome to the home of FortuneBuilders, the premier real estate investing education company! Here you can connect with our community, take in new real estate articles and news, watch episodes of FBTV and browse successful student-submitted real estate deals and victories. Real Estate is one of the most rewarding endeavors and we are excited to share our passion for investing and business with our visitors. To learn more about us and investing in real estate check out the rest of the site. We are active investors keeping a pulse on today’s markets, designs and trends. CT Homes, the active investing side of our business, has dozens of deals at any given time and is constantly testing, tracking and refining their marketing, acquisitions, rehabbing, and selling systems. The most successful systems and strategies are the foundation of our educational program, allowing us to offer the most accurate, up-to-date training to our students. Check out the featured deal below or browse all our deals here. Private Mt Soledad home designed by CT Homes from the hit TV show “Flip This House.” Picturesque windows welcome in light & capture views from all angles. Prepare to entertain in your custom gourmet kitchen while family & friends relax in the open layout. Whether spending nights around the outdoor fire pit or starting your day watching the sunrise, your special retreat invites you to enjoy the outdoors year round. Spa inspired bathrooms w/jetted tub & rain shower will soothe & relax you at end of the day. 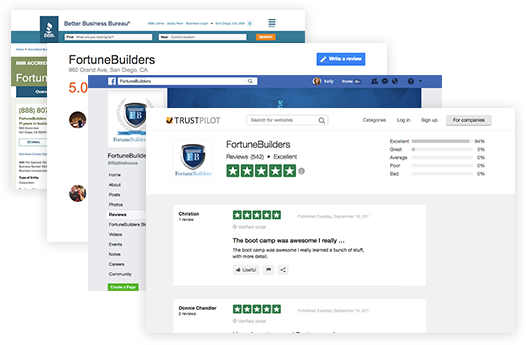 See what so many people just like you are saying about FortuneBuilders and our events. FortuneBuilders and our founder, Than Merrill, have received numerous accolades, appeared on TV, radio, podcasts, and contributed to major publications. We are privileged to share our expertise and insights into real estate. Visit our about page to read our story or check out the press room to find out more about us in the media.